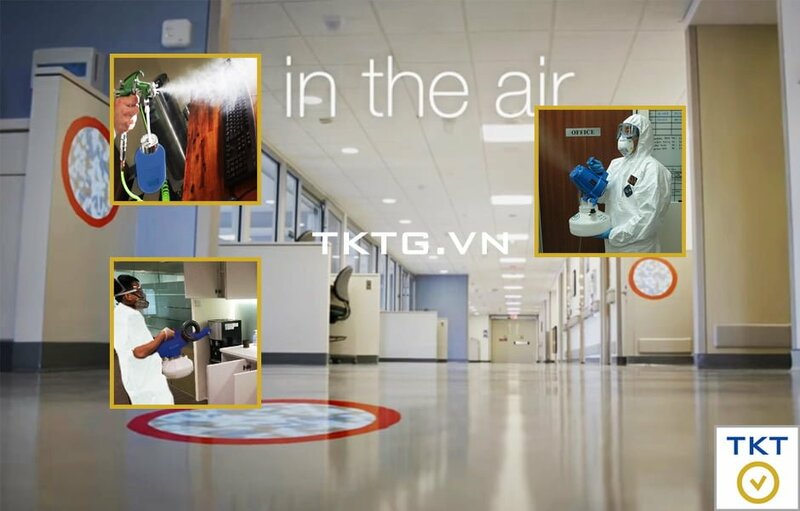 The first Office Disinfection Service in Ho Chi Minh City, Binh Duong, Dong Nai, Long An, Binh Phuoc, Tay Ninh … use the disinfection technology of the United States, the most modern disinfection technology. 1. 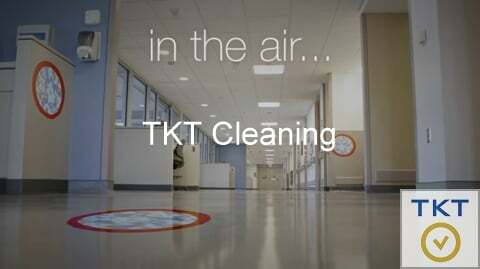 Why should you care about office disinfection service? Help you protect employee health, reduce the risk of sick leave and reduce the cost of medical treatment for office workers. The Bureau of Labor statistics show that we spend a lot of money on pathogens of viruses and viruses in the office environment, the company, or the public. Office workers lose 50 million dollars due to colds. “This is not a joke … you know the office desk has 400 times the number of pathogens in the office.” Why? Unlike conventional cleaning, dry-mist sterilization service will reach the corner or skip or be too difficult to reach. The fog disinfection solution can kill mold, yeast, bacteria, viruses. 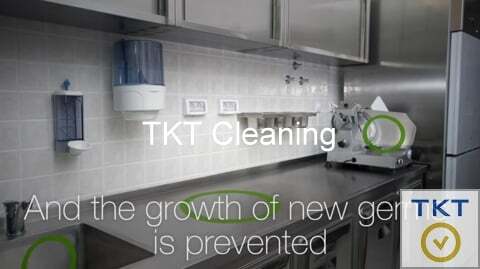 Moreover, disinfecting office services of TKT Cleaning also help to reduce odors in the office. Any surface can become a home for pathogens. It does not matter how carefully you clean it, sanitation services normally push bacteria and viruses from one place to another, not destroy them. Detergent and chemical disinfectants are technically outdated today. We now face higher disinfection requirements, with more difficult to kill pathogens. On the other hand, customers also require ENVIRONMENTAL, NON-toxical chemicals. 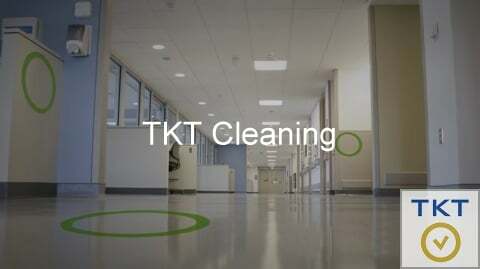 Office disinfection services TKT will help you save millions for sick leave and sick pay for staff. Standard hospital disinfection: Our office disinfection service helps you completely clean, destroy the germs according to hospital disinfection standards. Professional and reliable disinfection staff: Our staff trained to realize that your health is the most important. Proper implementation of the process is required for all service personnel. To get the best office disinfection effect, you first need to clean the office first if your office has not done this for too long. This is absolutely necessary and is advised by all professionals. Because the disinfectants will only be effective, maximally, for a short time on a clean surface. The dirty surface will reduce or no effect of the drug. – For office, we use ULV (Ultra Low Volume) sprayer. 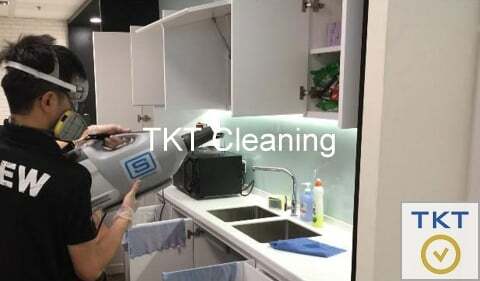 Fogging Machine can adjust spray amount and spray size from 5 – 50 microns, spray jet distance up to 8m, spray angle up to 80 degree , To ensure the disinfection chemicals exposed at every point in the office. You probably do not know: The ULV sprayer method is most effective for office sterilization that conventional spraying methods can not. The conventional spray method produces large granules and wetting the surface. Only suitable for disinfection patio, summer, playground. – After 1-2 hour processing, open the fan system, ventilation of the environment & can work normally.